A new season brings some new batches of the Deacon's trivia. Some of the questions were asked at 92.9 The Ticket's Opening Day celebration at the Ground Round. Some are debuted here. Question #1 Jon Lester was the winning pitcher on Opening Day 2013 at Yankee Stadium. Before this year, who was the last left handed Opening Day starter to be the winning pitcher for Boston? Question #2 Jon Lester's Opening Day start this year was his third consecutive Opening Day start for the Sox. 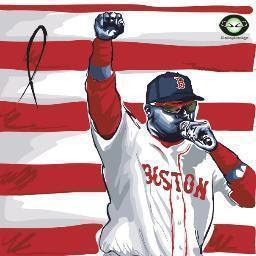 Who is the only Red Sox left handed starter to make more Opening Day starts than Lester? Question #3 John Farrell made his Red Sox managerial debut last week at Yankee Stadium on Opening Day. Who was the last manager to make his Red Sox debut in New York ( at old Yankee Stadium)? Question #4 In June 2010 Daniel Nava began his big league career by hitting a memorable Grand Slam on the first pitch served to him in the major leagues. Which new member of the Red Sox is the only other player on this year's team to hit a home run on his first at bat in the bigs? Any and all answers ( guesses) can be left in the comment section, the correct answers will be revealed as the answers come in or perhaps during a upcoming RSM live chat. Good Luck! 1. Wells and Hurst each started OD's for the Sox ( Wells in 2005 and Hurst in 1984 and 1986) but did not win. In 1970 Gary Peters pitched 5 1/3 innings as the OD starter in New York to win with 3 2/3 of relief from Bill Lee, who never started an OD for Boston. 2. Babe Ruth started 3 OD's from 1916 thru 1918, Grove only 2 in 1939-40. Mel Parnell started on Opening Day in 1950, then 1952-54 for a total of 4. Parnell is the answer. 3. Eddie Kasko made his Sox managerial debut in the Gary Peters game above, but he is not the most recent. In 1992 Butch Hobson managed his first MLB gam for Boston in New York in a game won by the Yanks. 4. On May 4, 2006 fellow rookie Justin Verlander allowed a home run to Mike Napoli, making Nap the only 2013 Sox player besides Nava to homer in his debut at bat. Red Sox vs. Orioles RSM Live Chat 4-10-13! 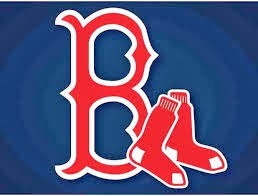 At 2-1 Are the Red Sox For Real?